This spacious own door apartment is located in a popular area with easy access to the city centre and beyond. Well presented the property boasts two bedrooms, large living room, modern fitted kitchen, bathroom and utililty room/store. 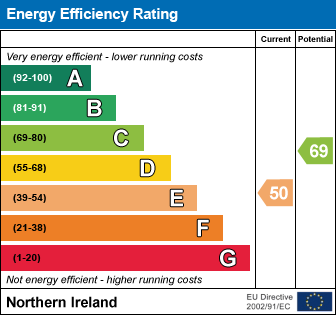 There are also the further benefits of upvc double glazing and gas fired central heating. The sale of this attractive apartment will appeal to both first time buyer and investors alike and viewing is highly recommended. Plumbed for washing machine. Access to rear. Range of high and low level units with marble effect worktop. . Plumbed for dishwasher. Stainless steel sink with drainer. Check out the property I found on PropertyPal.com: 364 Cregagh Road, Belfast BT6 9EY.